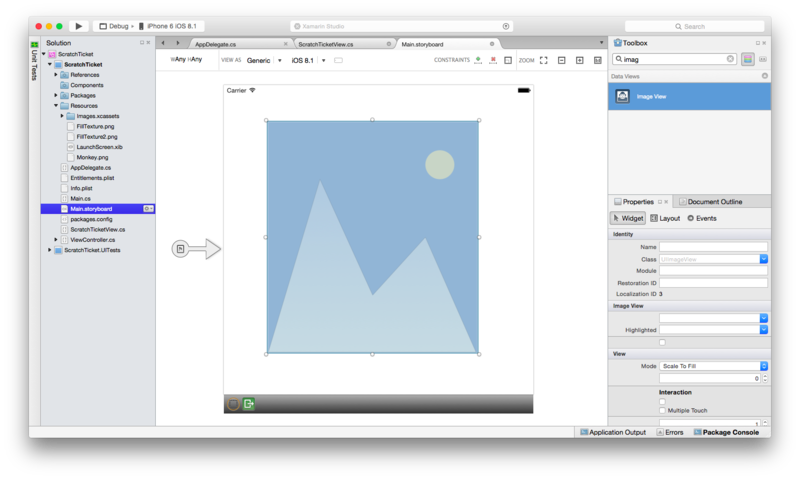 The Xamarin Designer for iOS is available in Visual Studio for Mac and Visual Studio 2017 and later on Windows. 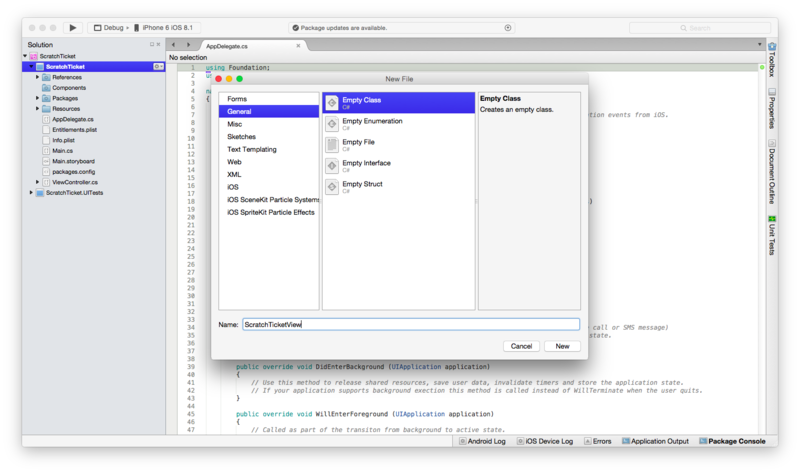 Starting in Xamarin.Studio 5.5, the way in which custom controls are created is slightly different to earlier versions. 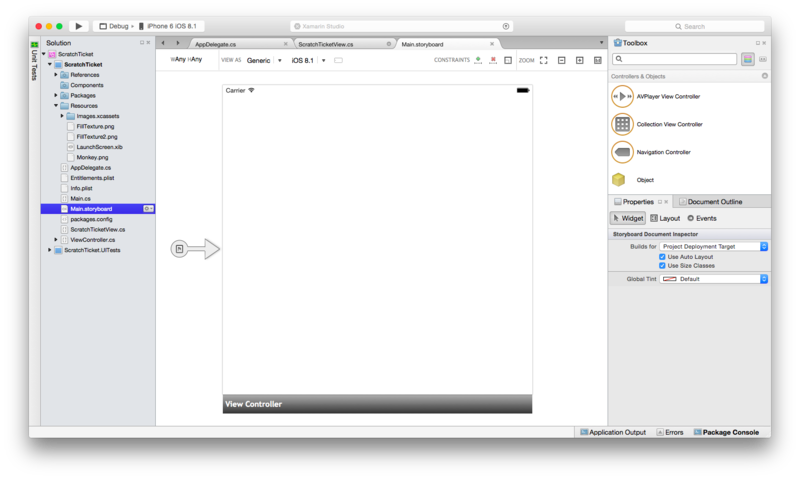 To create a custom control, either the IComponent interface is required (with the associated implementation methods) or the class can be annotated with [DesignTimeVisible(true)]. 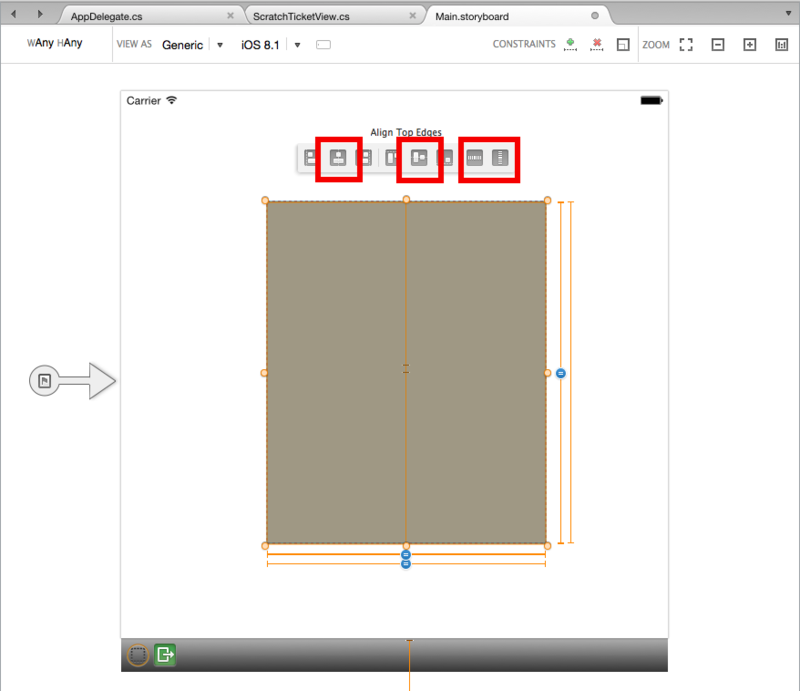 The latter method is being used in the following walkthrough example. Add the FillTexture.png, FillTexture2.png and Monkey.png files (available from GitHub) to the Resources folder. 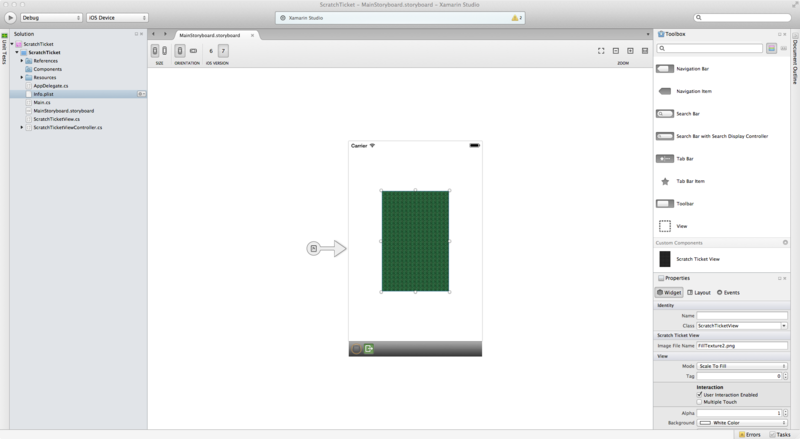 Drag/drop an Image View from the Toolbox onto the view in the storyboard. Select the Image View and change its Image property to Monkey.png. Run the application and “scratch off” the image to reveal the monkey. 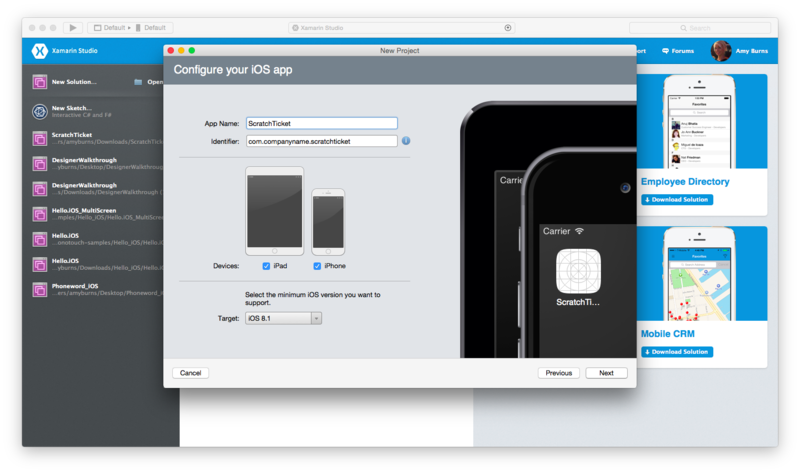 In this article we walked through how to create a custom control, as well as consume it in an iOS application using the iOS designer. 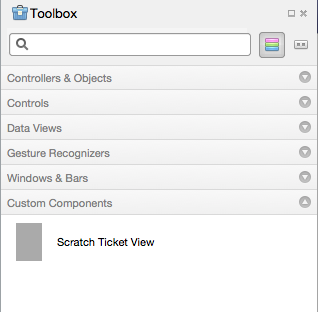 We saw how to create and build the control to make it available to an application in the designer’s Toolbox. 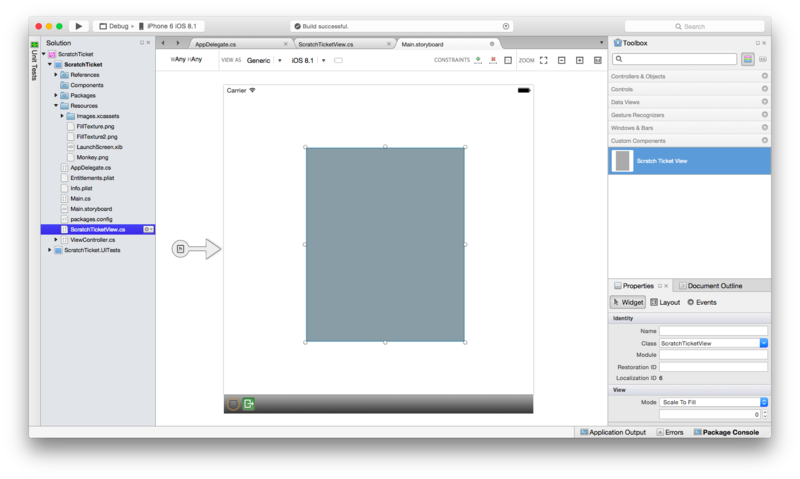 Additionally, we looked at how to implement the control such that it renders properly at both design time and runtime, as well as how to expose custom control properties in the designer.